The PIXMA MG3029 Wireless Inkjet All-In-One printer combines the convenience of cloud connectivity with quality image and document printing, all in an affordable package. PIXMA Cloud Link allows you to connect with cloud services like Dropbox and Evernote through your smartphone or tablet, giving you access to an even greater variety of print options. Its hybrid ink system combines dye ink for vivid colours and black pigment ink for sharp text, which produces incredible quality and detail in both your photos and documents with a maximum print colour resolution of 4800 x 600 dpi using FINE print head technology. 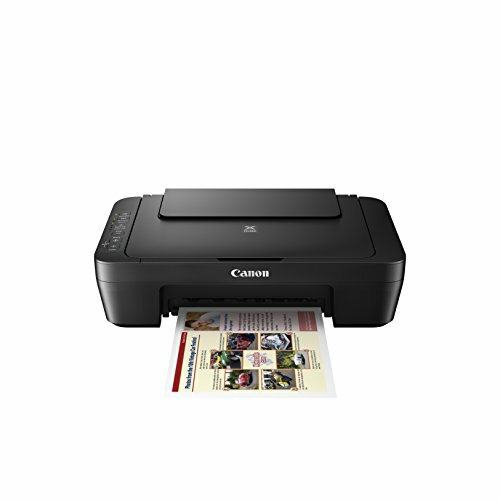 It also offers built-in Wi-Fi, so you can print wirelessly anywhere as long as your device is connected to the same local wireless network as your printer.